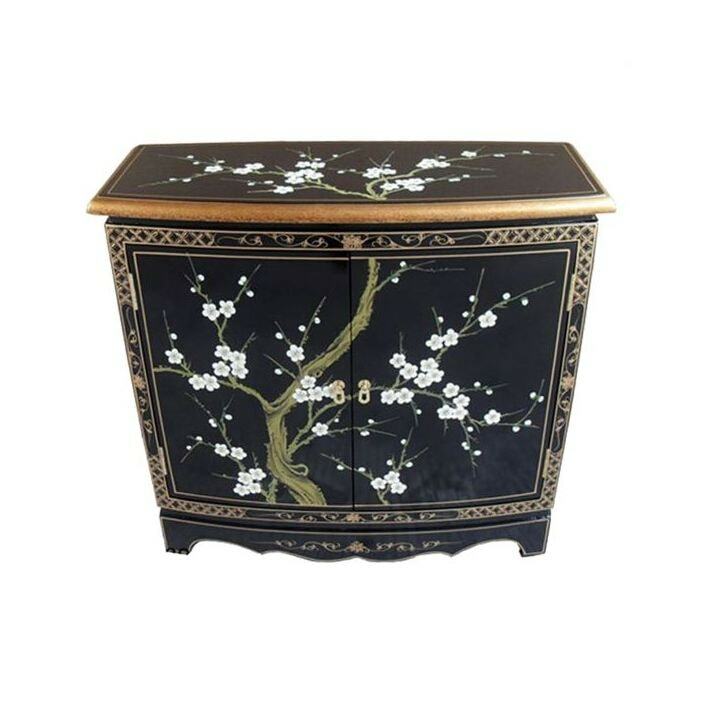 The handmade lacquer painted furniture range offers a beautiful range of hand crafted Painted Furniture, perfect for home owners who enjoy and appreciate the finer things in life. This stunning black lacquer cabinet has wonderful detail and finishing, finished off with several layers of natural to create this beautiful finish. Featuring a 2 door cabinet that reveals a generous storage area. Working well either on it's own or alongside out stunning Shabby Chic furniture, this piece is sure to amaze.